With huge industrial understanding and industry expertise, we are capable of offering a wide compilation of Exclusive Pendant Box to our patrons. 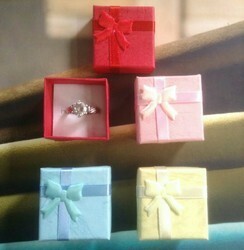 We are reckoned amongst the notorious name of a broad array of Pendent Boxes. THIS IS A PAPER EARING & PENDENT BOX FOR GOLD JEWELLERY RETAILERS AND WHOLESELLERS. Rathore Retail (I) Pvt. Ltd. 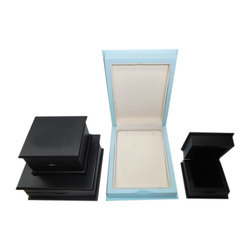 This Pendant Jewellery Box will keep your costly pendant set safe and organized. In order to suit the various and precise requirements of our esteemed clients, our enterprise is dedicatedly engaged in providing Earring and Pendant Box in the market.